Nintendo rolled out a brand new system version for the Wii U. The console is now at 5.0.0, and the new whole digit brings with it a slew of big changes. First and foremost, gamers will now have a Quick Start option when it comes time to fire up their Wii U. As you turn on your Wii U with version 5.0.0 and later installed, you'll see your 10 most recent applications on the GamePad before the system menu loads. That means you can skip the initial load in and greeting that you typically see by simply tapping one of these icons. That quick boot feature is a big one, and it will cut down on game startup time significantly. Nintendo ran down a few other changes that came with the update in the release we received this morning. An improved user setting and selection experience. 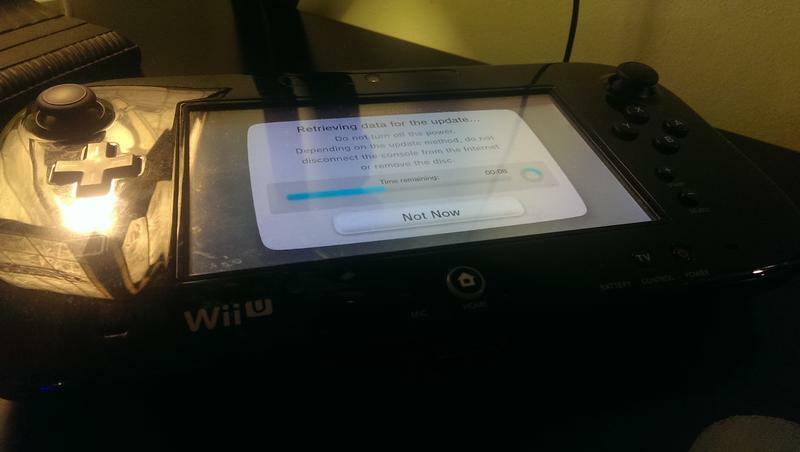 System updates can now be downloaded and installed when the Wii U console is in standby mode. Full-screen alerts and notifications can be displayed on the GamePad controller, even if the system is in standby mode. These notifications will tell Wii U owners about new updates, game releases and promotions from Nintendo. Users can adjust how they receive these notifications. Easier Nintendo Network ID setup for new users. Notifications can now be accessed from the Home Menu as well as the Wii U Menu. Depending on how the Quick Start feature performs once my console is finished updating, I might put together a quick demonstration video. It's nice that Nintendo brought these new features out alongside the release of Mario Kart 8. That game sold 1.2 million copies over the weekend. I would imagine it brought a lot of new Wii U owners along with it.